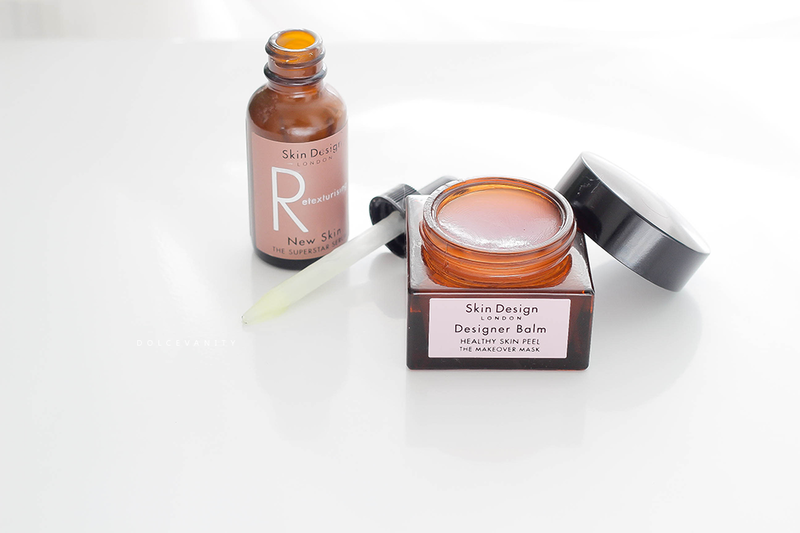 This year I was introduced to Skin Design London. It's without a doubt a luxury skincare brand but you get what you pay for in most cases, this is one of those cases. Because I'm always targeting hyperpigmentation whether it's visible or not - I know it's an inevitable problem in my life. Therefore I always aim to get products that either target that or both the spots and hyperpigmentation. 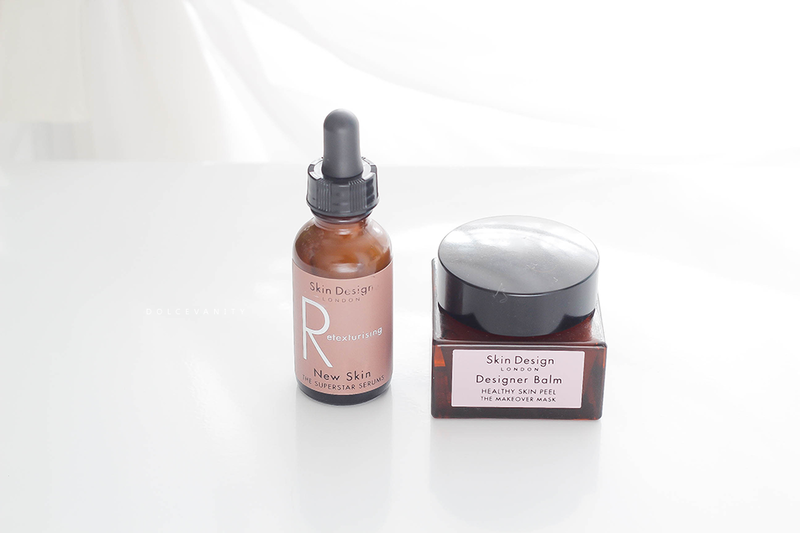 I decided to trial the Retexturing Serum and Designer Balm. "Resurface skin using this advanced Retinol, lactic acid and sea algae skin renewing daily serum. Retinol encourages cellular turnover revealing younger looking skin with diminished signs of ageing. Formulated with a gradual release system to minimise irritation and with arnica to help reduce inflammatory responses." 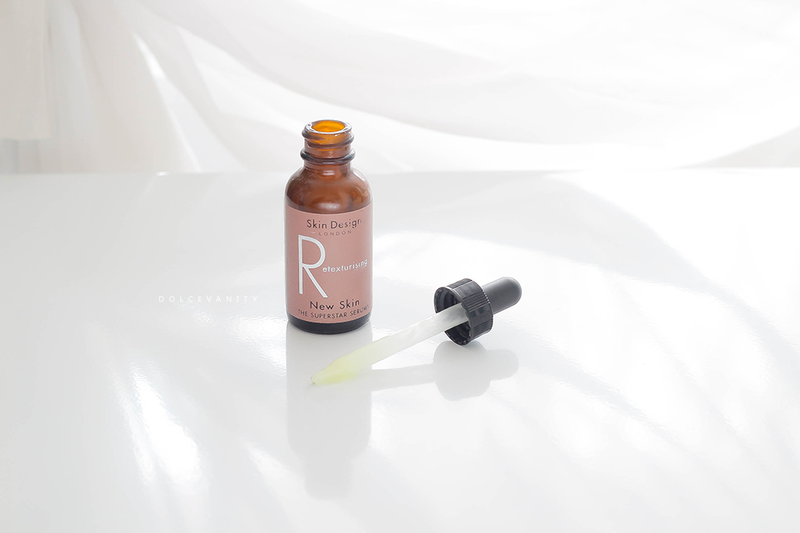 Retexturing Serum Ingredients- Lactic acid increases skin’s hydration, pliability and flexibility, excellent for more sensitive skin, dark or hyperpigmented skin. - Cylasphere retinol encapsulated retinol offers gradual release and enhanced efficacy. Helps stimulate cell regeneration and build collagen to diminish the appearance of fine lines, wrinkles, and age spots. Minimises the appearance of large pores while addressing blemishes and blotchiness often associated with problematic, acneic or mature skin. - Tegostemlastin (algaeextract) naturally derived marine algae rich in mineral nutrients, amino acids and polyphenols plus gaba (gamma amino butryric acid). Stimulates epidermal stem cells and dermal fibroblasts. Significantly supports the maintenance of epidermal stem cell activity encouraging skin rejuvenation. - Olive squalane plant source alternative to human sebum to lubricate and protect skin. - Arnica montana flower extract capable of reducing skin puffiness and inflammation. Also limits alpha hydroxy acid irritation and skin redness. - Darkout tm (caesalpinia spinosa gum, hypoxis rooperi rhizome extract) evens out skin color, helping to create a brighter, more radiant complexion. Improves overall skin colour, reducing age spots, freckles and hyper-pigmentation. - Bisabolol accelerates the healing process and protects skin from daily environmental stress with anti-irritant and anti-inflammatory properties. Natural anti­bacterial and anti-fungal. Enhances the penetration of other ingredients. - Niacinamide potent cell-communicating ingredient with multiple benefits for aging skin. Improves skin’s elasticity, dramatically enhances its barrier function, help erase discolorations, and revive skin’s healthy tone and texture. Increases ceramide and free fatty acid levels in skin, preventing water loss and stimulating microcirculation in the dermis. ExperienceThe ingredients really made me confident to give this serum a try, I love acids, lactic acid I'm very familiar with and daily I use Niacinamide to help my skin. All these key ingredients aim to help my only skin concerns, occasional spots (inflammation) - hyperpigmentation. The serum has a nice texture, not too runny and I quite like the scent. It absorbs nicely onto the skin, no sticky residue and I can go in with my moisturiser pretty quickly after application. "Transformative at-home treatment to peel, plump, smooth and hydrate with 4 key ingredients for glowing skin in 15 minutes. Maximum concentration Retinol targets multiple skin conditions. Suitable for sensitive skin." 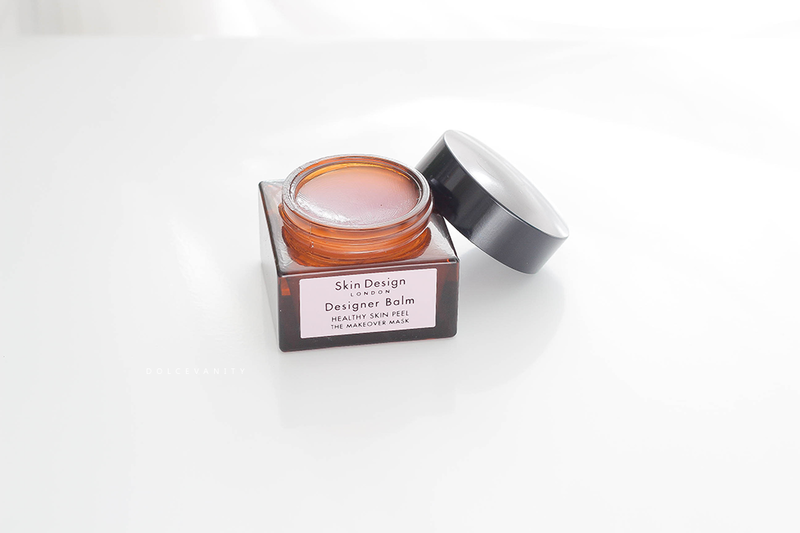 Designer Balm Ingredients- Retinol anti-aging cell regenerator smooths skin, reduces fine lines and wrinkles. - Hyaluronic acid boosts moisturisation, plumping and hydrating skin for a youthful appearance. - Soy protein locks moisture on the skin’s surface for a smoothing effect. - Rosehip oil high fatty acid content protects against premature ageing and delivers intense hydration. These sound like fantastic products, and definitely worth the money! Thanks Sarah, they definitely are. Sounds like you have some good products there, especially given the natural ingredients!